Having space is one thing, how you use it is another. The generously proportioned rooms at Danesmoor House are wonderful and greatly appreciated by adults, but to the 0-2 age group it’s just open space in which to play. To ensure that the children get to use that space we have to give it a great deal of thought. The leaf canopy is one of those thoughts. 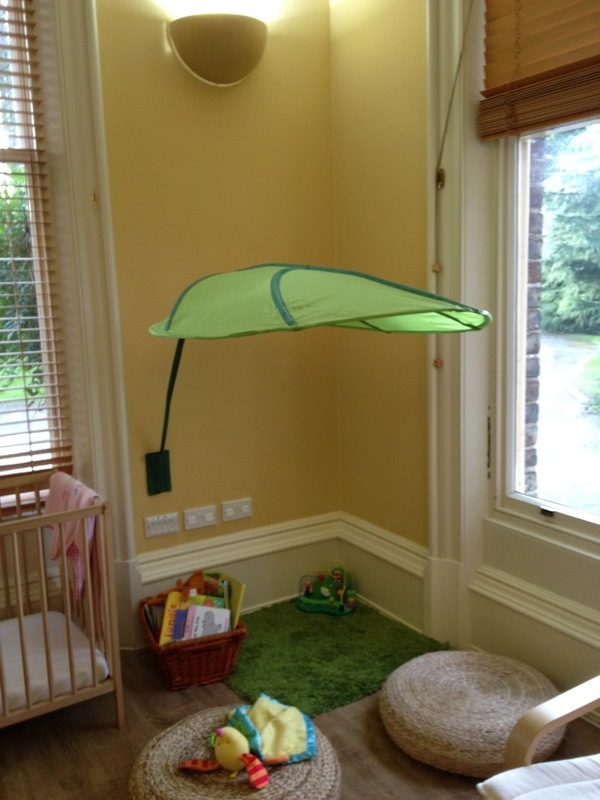 By creating a lower ceiling, the children can now have a space that feels cosy and safe. This area can now be used for treasure baskets and heuristic play as well as books. 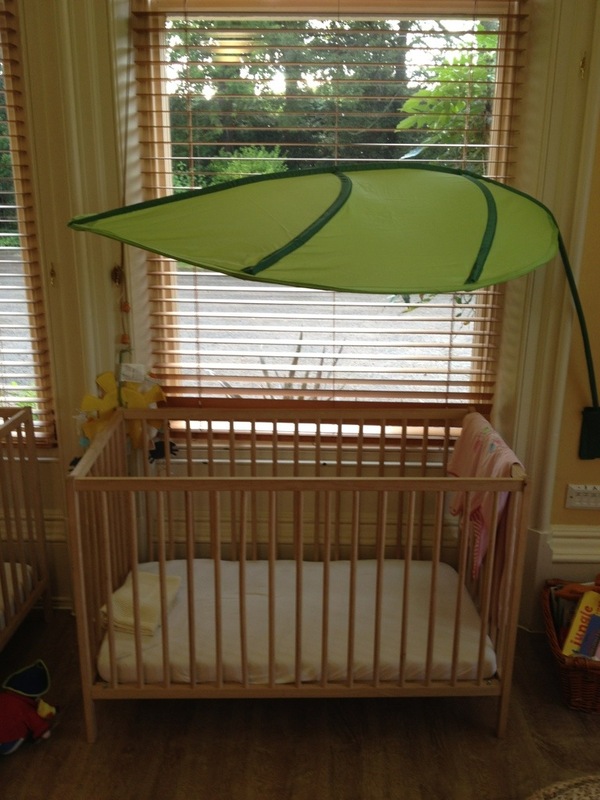 The leaves also turn around to shade the cots and create a cosy place to fall asleep. It’s just a little thought but one that creates an enabling environment in which your child can grow and learn in confidence.